Chicago International Organ Academy (CIOA) was inaugurated recently to serve the needs of organists of all ages and abilities around the world who have a desire to acquire or improve their organ playing abilities. Many people who love the organ, its sounds, and its literature do not have easy access to high-level instruction. Many are not in a position to enroll in a degree program at an accredited school or cannot travel to places where the instruction they seek is offered. Others need greater flexibility in scheduling their lesson times. 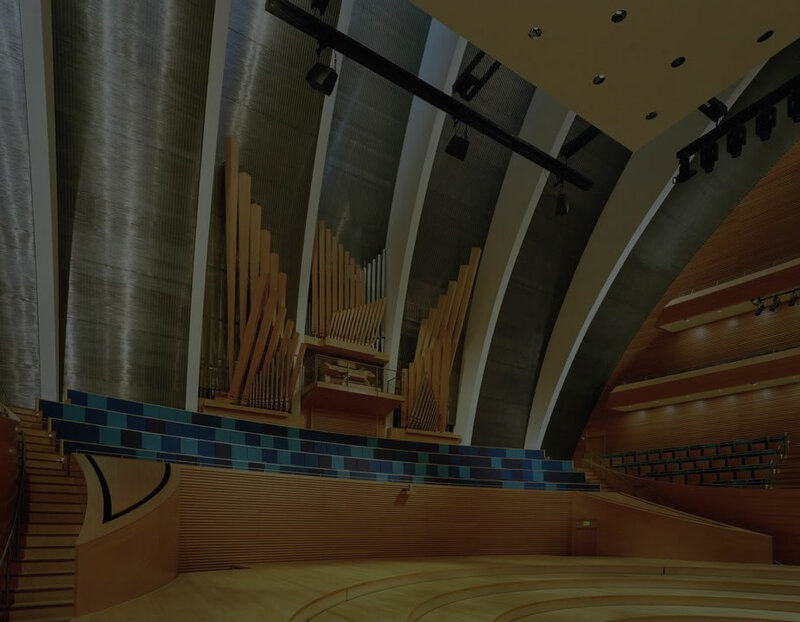 CIOA seeks to fill this void with a dynamic, engaging way to utilize contemporary technology and a cloud-based platform to make organ lessons more easily available to people around the world who have a desire to enjoy playing the organ, and to do so more effortlessly. Beginning, intermediate, and already advanced organists will benefit from the remote learning opportunities available through CIOA by using either a smartphone, tablet, laptop, or video camera to record their lesson assignments and to participate in live, interactive sessions with their instructor. Students enrolled in the Academy appreciate being able to review the visual aspects of their instruction multiple times throughout the week in between lessons. Phillip is an outstanding teacher. I was a bit surprised at first that he started me with pedal technique, having already had a background in organ and pedal playing myself. However, I was impressed that after taking the time to do the pedal exercises that my pedaling improved beyond the skills I already had. I immediately noticed that my pedal playing was more accurate after this initial phase of organ study. I especially appreciate his sensitivity to diverse learning needs. I know, for example, that I have always struggled with rhythm. There was one day in winter quarter where I just wanted to cancel my lesson because I was so frustrated with a particular passage and its rhythm. However, this turned out to be one of my best lessons, because Phillip very patiently had me go over the passage slowly, he broke down the rhythm into simpler parts, and taught me a particular hand motion, which I had not considered, that helped me get through this tough spot. He literally said, “there is a solution to everything” in music. I have never encountered such a positive attitude toward learning than in my organ lessons with Phillip. In being patient with me, he has also taught me to be patient with myself, and this I believe has been one of the greatest lessons that can be carried on beyond the organ bench. What if you could learn organ anywhere, anytime, on any device with a highly accomplished teacher and performer? How would your learning be different with four cameras at different angles on the pedals? What if you could record your practice and get personalized feedback from the source of the teaching? CIOA does all this and more. Chicago International Organ Academy (CIOA), a new premiere school for training and nurturing organists, was recently inaugurated and is poised to grow the next generations of organists throughout Chicagoland, and well beyond. The Academy has been conceived as a dynamic, exciting, educational initiative where students of all ages from around the world, virtually or in person, can turn for high-level, comprehensive training in all aspects of the organist’s art. Energized? Excited? Ready to Engage?